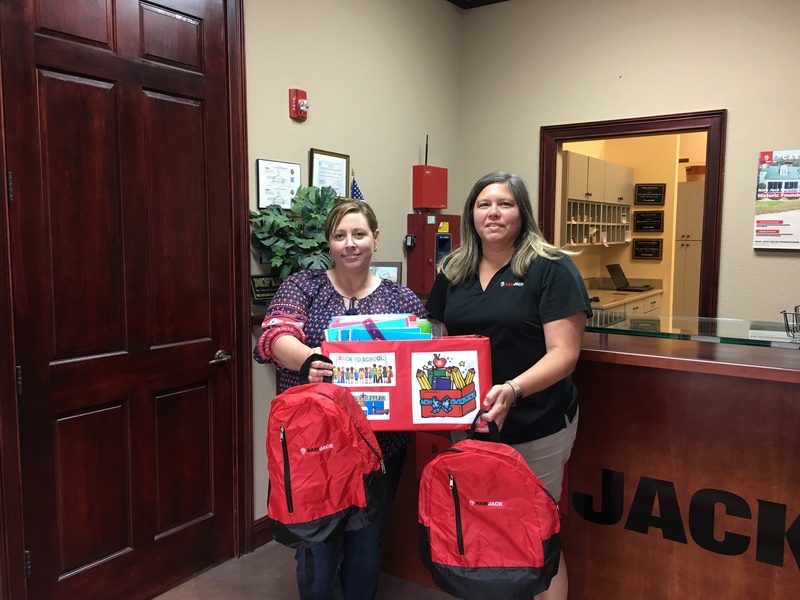 GAINESVILLE, Fla., September 20, 2018 – Ram Jack Solid Foundations jumped at the chance to show some support for their community by participating in Ram Jack’s national school supply drive. This August they were one of 16 Ram Jack locations that elected to participate in their first national outreach program. We all understand the stress that comes with the back-to-school season, and Ram Jack Solid Foundations was proud to be able to alleviate some of that stress on parents and teachers. The much-needed supplies, which were donated to High Springs Community School, included: backpacks, paper, folders, pencils, rulers, glue, tissues, and other essentials for back-to-school items. “We feel giving back to the community is important. A lot of families can’t afford back-to-school supplies. Our team wanted to do what they could to contribute,” says Jolene Miller, Co-owner of Ram Jack Solid Foundations. Ram Jack Solid Foundations is elated to have such dedicated and caring individuals within their organization. Ram Jack provides quality foundation solutions, from residential to commercial, new construction to remedial repairs. Ram Jack’s in-house engineers and research and development divisions continually strive to advance industry knowledge in foundation solution applications of steel piles. For more than 40 years, Ram Jack has restored stability to many homes and equipped engineers with custom solutions. As foundation repair contractors, Ram Jack makes sure that your building has proper foundation support. From helical pile to driven pile systems, Ram Jack ensures they are equipped to get the job done!